The first Phantom of the Opera World Tour kicked off this week, 33 years after the musical originally premiered in the West End in 1986. 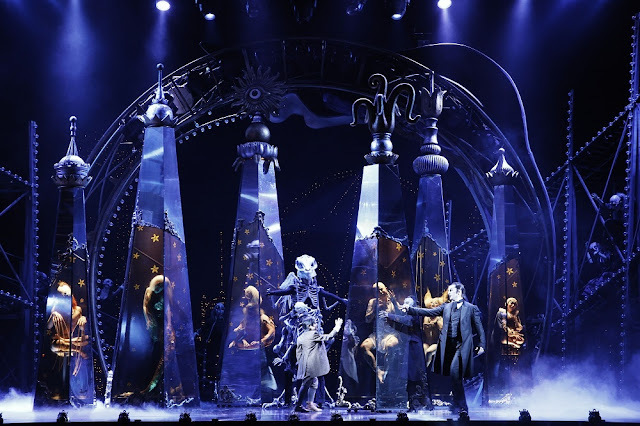 The first city to have the greatest pleasure to be part of that World Tour is Manila, with Meghan Picerno (actress and singer who portrayed Christine in the first North American Love Never Dies Tour) and Jonathan Roxmouth in the role of The Phantom. LOVE NEVER DIES IS GETTING A WORLD TOUR! So far there are no Tour dates announced, no cities confirmed and no date announced for casting, rehearsals, or premiere. We’ll proudly keep bringing all the news together, and we’re hoping that Love Never Dies comes near you so you can get the stunning experience to enjoy this beautiful and magical show live. Join the conversation using #LNDWorldTour! Let’s chat about how happy we are with this Tour and make some noise so Love Never Dies visits as many cities as possible! Visit here the full gallery. / Visita aquí la galería completa. 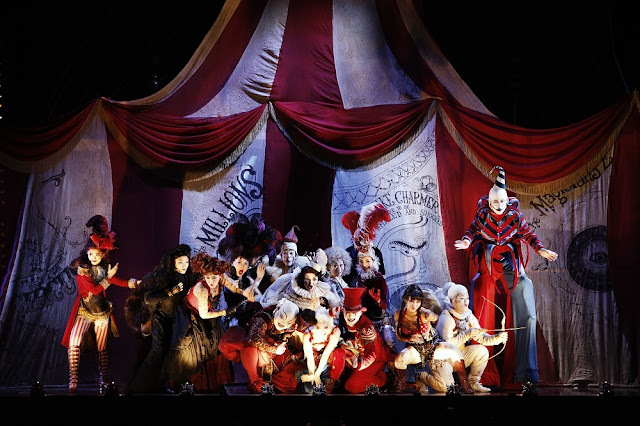 Love Never Dies premiered this week at Nissay's Theatre in Japan, and the official pictures and promo have been released to celebrate the opening day of the show in Japan! Don't forget to follow the official Twitter page (or our own at @LoveNeverDiesEs if you rather have them translated into english)! It looks like #TIHYSWeek has turned into #TIHYSMonth, but as we wait for more news to pop on the Japanese production (premiering in 2019), we wanted to compile some videos of interviews that the cast of the US Tour has been answering throughout the States. Bronson Norris Murphy, along with two TPAC staff members and Phantom Phanatics play some Love Never Dies and The Phantom of the Opera trivia at Two Bits in downtown Nashville. Kristin on Cue takes Bronson Norris Murphy to the Delta Fair & Music Festival (the "closest thing to Coney Island"). They chat on the Pherris Wheel, almost get stuck in the Hall of Mirrors, play fair games, and try Fried Oreos. Taylor from The Fabulous Fox sits down with Love Never Dies stars Bronson Norris Murphy and Meghan Picerno. 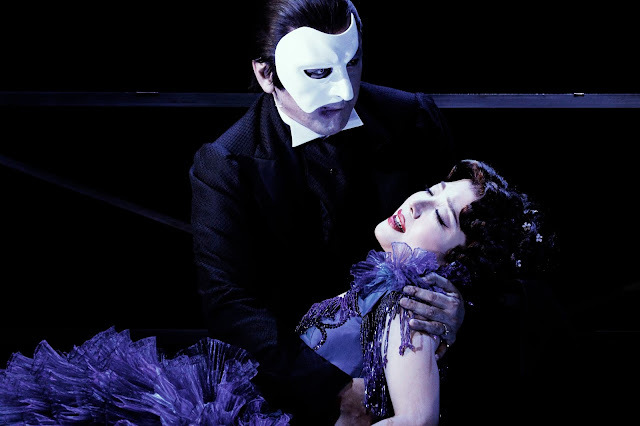 Hear what they have to say about Andrew Lloyd Webber's sequel to The Phantom of the Opera. Deal the cards! Let them fall! A month ago we started a series of polls to choose Love Never Dies fan favourite musical number. If you're following us on Twitter, you must have seen how your favourites have been heading to the next round over the last month, and today is the day we can finally announce a winner! Beneath a Moonless Sky and Till I Hear You Sing made it to the final round, and it has been rather fun to see how both songs made it to the top just to be topped by the other one over the last three days. For half the time we left the poll running, both songs were winning 50/50%! And then, the last three days they kept topping one another again. But there can only be one winner! Finally, in the last hour before the poll closed, and just by two votes of difference, Till I Hear You Sing got on the podium as the most beloved song, followed extremely close by Beneath a Moonless Sky. Thank you to anyone who participated, we know some of you struggled to vote one song over another, but in the end, it's been a fun month altogether, and this week we'll be celebrating through our social media (Twitter, Instagram) #TIHYSWeek. So follow along to get peeks of every production's rendition of Till I Hear You Sing and walk down the memory lane with us. 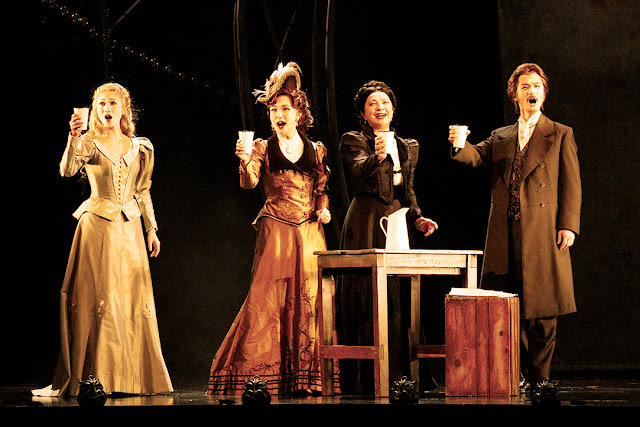 For now, enjoy these official music videos of different Love Never Dies productions, starting with the actor who first originated the role in the West End, Ramin Karimloo at the Adelphi Theatre. One can never have enough music videos of this song, RIGHT? Here's another music video of Ramin performing TIHYS, Phantom clothes on and mask off. Ben Lewis' performance was globally recorded for purchase as a musical movie. 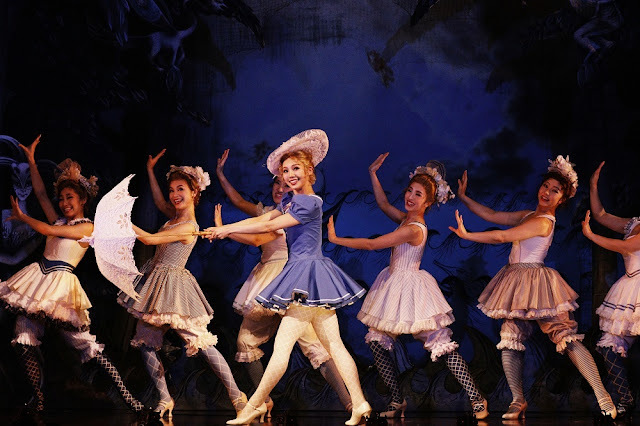 He originated the role in Australia after the reworked musical premiered at the Regent Theatre in Melbourne in 2011. You can find him now performing as The Phantom in the original Phantom of the Opera production in the West End. 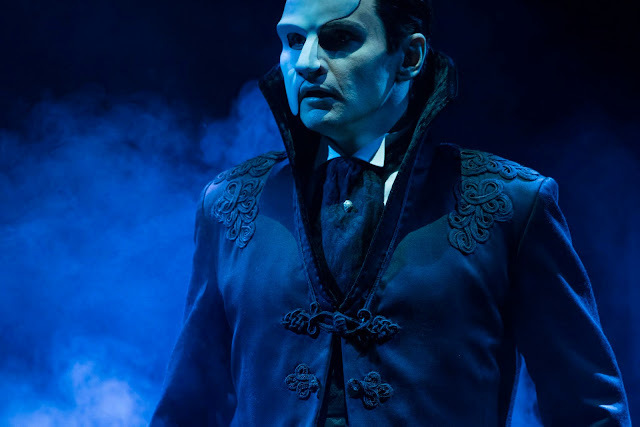 Gardar Thor Cortes played The Phantom in the German production of Love Never Dies at Hamburg's Operettenhaus Theatre in 2015 and then revisited the role in the US Tour this year. He may not be performing anymore in the Tour (the role is now performed by Bronson Norris Murphy), but we'll always have this gem to listen to over and over again! Follow us to get peeks of these performances as well as other actors from different productions across the world, such as Tam Mutu (who took Karimloo's role in the West End), Thomas Ambt Kofod at the Denmark production at the Det Ny Theatre in 2012, Drew Sarich at the Vienna concerts that were held at the Ronacher Theatre in 2013 and Masachika Ichimura and Takeshi Kaga, who performed The Phantom at the Japanese production at the Nissay Theatre. 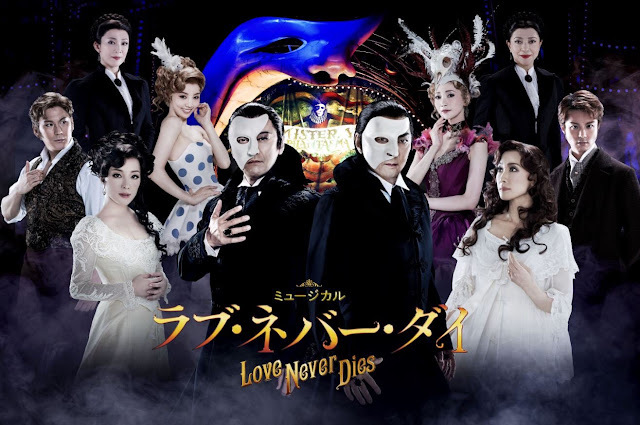 Love Never Dies is returning to Japan in 2019! 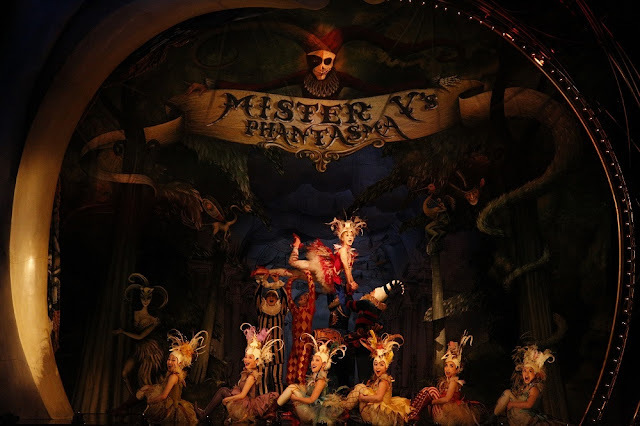 Five years after the production opened at the Nissay Theatre, the show is returning for a second run at the same theatre. 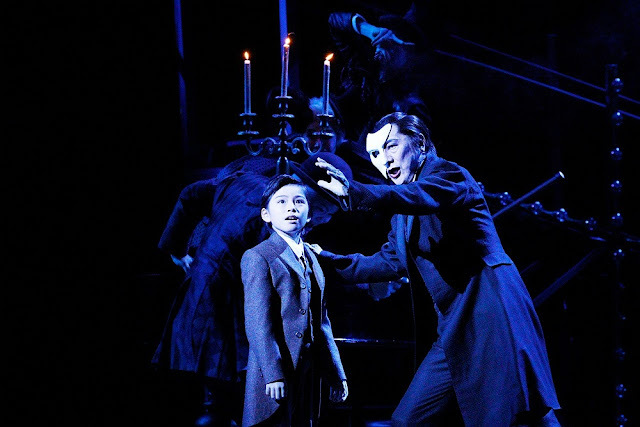 Love Never Dies will return Jan 15th–Feb 26th. 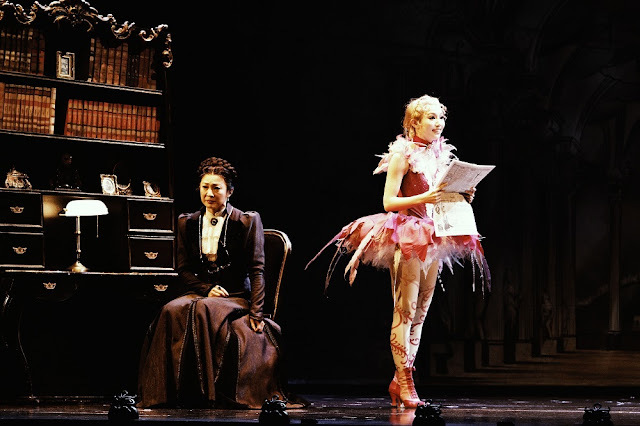 We'll try our best to keep this page updated with everything Love Never Dies related, although the language is a small handicap for us as we do not speak, write nor understand a word in Japanese. So, from now on, we apologize if translations are not 100% literal, or if we misunderstand or misspell details or names regarding this production. If you understand Japanese or do you have any news about the production that we missed... feel free to share! sequel to The Phantom of the Opera! secuela de El Fantasma de la Ópera! This site is not affiliated with the creative team or cast, the blog's purpose is to keep the fans informed and the community united! @LoveNeverDiesEs 2010-2019 (loveneverdieses@hotmail.com). Powered by Blogger.